Bart Kastermans is a software engineer and data scientist based in the Netherlands (working in Amsterdam area, living in Uitgeest). In 2012 he made the switch from an academic position (Mathematics) to a position in IT. 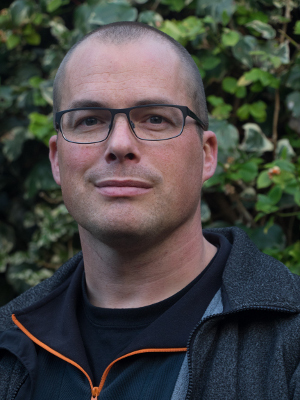 In januari 2019 he made the next switch from tech lead of the data streaming engine, to a position as software developer in the security team. At the University of Michigan, Ann Arbor, he wrote a thesis in Set Theory titled Cofinitary Groups and Other Almost Disjoint Families under supervision of Andreas Blass and Yi Zhang. During the writing he visited Yi Zhang at Sun-Yat Sen University in China for a year. After getting a PhD he worked as a postdoc at the Mathmatics department of the University of Wisconsin, Madison, for three years. During this time he worked with Steffen Lempp, resulting in a couple of papers among which is the paper on Comparing Notions of Randomness. He then moved on to be an Assistant Professor at the Mathematics department of the University of Colorado, Boulder, for three years. This was a tenure-track position, but after those three years he decided to give in to a long standing interest in information technology.